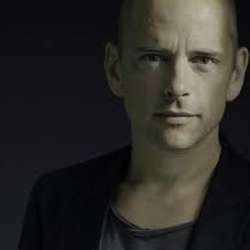 Pianist Tord Gustavsen began his ECM tenure with three trio albums, released from Protected content 2007, that enjoyed a remarkable confluence of popular and critical success. JazzTimes described this trilogy as having the potency of “distilled magic,” while the Guardian stated “Gustavsen’s tunes are hypnotically strong, and the integration of bass and drums in his regular trio is total.“ In four further recordings for ECM over the past decade, Gustavsen explored the quartet format, as well as worked with an expanded ensemble and vocals. Now, for his return to trio with the album The Other Side, the Norwegian pianist has convened a new working group, which includes ever-faithful drummer Jarle Vespestad – a kindred spirit who has drummed on all of Gustavsen’s albums. There is a new bassist, Sigurd Hole, whose eclectic approach to his instrument – drawing on influences from folk music as well as modern jazz – makes him ideally suited to the pianist’s gradually developing, melodic pieces. The Other Side incorporates Gustavsen’s love for the church music of his village youth and the ancient folk melodies of Norway that have become a passion in more recent years. This mix of compositions and arrangements of chorales ranges from grave beauty to flowing dynamism, marked throughout by the trio’s seemingly telepathic chemistry.